Peter Block has been hired by Maple Leaf Foods as the Canadian food processing company’s Vice President Communications, responsible for a wide range of branding and communications initiatives for the organization. Prior to the role Peter was Partner and Practice Lead, Financial Communication at NATIONAL Public Relations. 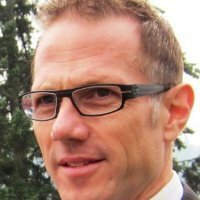 Peter’s past management roles include Managing Partner at Cohn & Wolfe; National Managing Partner | Canada at Cohn & Wolfe and Vice President NATIONAL Public Relations.